Professor Til Wykes, from the Institute of Psychiatry, Psychology and Neuroscience at King’s College London, has received the Society’s 2014 Award for Promoting Equality of Opportunity for her part in championing the active role of mental health service users in research. The award, conferred by the Society’s Ethics Committee, recognises a person whose work as a psychologist has made a significant contribution to challenging social inequalities in the UK. Throughout her career Professor Wykes has sought to involve mental health service users as active members of research – not just as research participants or consumers. This drive led to the establishment in 2001 of the Service User Research Enterprise (SURE) at King’s College London. SURE undertakes research to test the effectiveness of services and treatments from the perspective of people with mental health problems and their carers. It aims to involve service users in a collaborative way in the whole research process: from design to data collection, through to data analysis and dissemination of results. 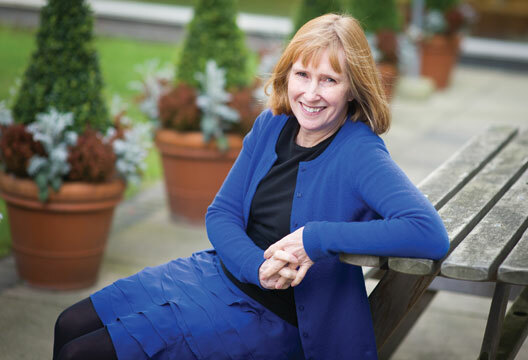 Professor Wykes’ commitment was further reflected in her decision, as editor of the Journal of Mental Health, to increase the representation of service users on the board and to change the focus of the published research. These changes were reflected in the journal’s author guidance, which encouraged service users as contributing authors. On receiving the award, Professor Wykes, currently a Professor of Clinical Psychology and Rehabilitation and Vice Dean of Psychology, said: 'I am absolutely delighted to have received this acknowledgement of the important work of including service users in mental health research. I will continue to carry out my research with, rather than on, patients and try to demonstrate how this can then have much more impact on mental health and the NHS. Professor Wykes will be invited to deliver an award lecture and accept a commemorative certificate at the Society’s 2015 Annual Conference in Liverpool.